This page will outline deals for clubs at a range of Parks as they become available to us. If you are aware of special deals for clubs, let us know, so that other clubs may benefit from the specials. Our park is a very picturesque older park with lots of trees and wildlife, although we are only 20kms to the City you would think you were out in the bush whilst in our park, we are down in a gully off the main road so we are quiet even during busy times. Our U Tube address is listed below and by viewing this you can get a good feel for the park. We have a covered alfresco area at the BBQ’s that is gas heated, free BBQ’s, camp kitchen area that is used for family get togethers and can easily accommodate 50 people, a great area for happy hours. Our park is dog friendly (subject to signing a pet bond and some breeds are excluded). There is a bus into the City from near the front of the park, we have a great variety in restaurants in the area and are only 40mins to the Yarra Valley and other wellknown areas. We would be pleased to offer a weekend special of pay for 2 nights get the 3rd night free or a mid- week special of stay for 4 nights and pay for 2 nights. The specials would be subject to availability, not on long week-ends or during peak times. Crystal Brook Tourist Park – 182 Heidelberg- Warrandyte Road, Doncaster East 3109. We offer all guests with a Top Tourist Membership or Seniors Card a 10% discount (with a maximum of $30 per stay) no matter which tariff period we are in. When people come in groups (most of these groups are 5-10 vans large) we usually offer them a discount of 15%. The longer the stay and the bigger the group the more we can do for them. Seniors card or Top Tourist Membership - 10% discount with a maximum of $30 per stay. 5-10 vans - 15% discount. 10-20 vans - 20% discount. 20 + vans - 25% discount. When the clubs want to stay a bit longer we do have a recurring special, pay 5 stay 7 which would mean that a couple staying here for that deal during a normal shoulder period would be $170 for a powered site. We are happy to apply this special outside of school holidays, long weekends, events weekends and general peak seasons. 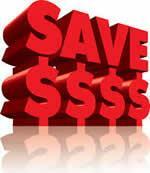 We offer discounts off our rates at the time of between 10% and 15%. Eg if more than 10 sites are booked the higher discount rate is applicable. We here at Pioneer Tourist Park, Deniliquin, would like to make a special offer to ACCVIC affiliated members. If three or more of your members travelling together pre-book for a minimum of 2 nights, we will give a 10% discount. If they are Kui Park members, their 10% discount will also apply. Must be pre-booked and mention this offer at time of booking. We are a small park situated 5 minutes' drive from the Centre of Deniliquin. All our sites are Drive Thru, with plenty of space around them. For more information on the park, visit the link below . Being a Family Parks member, we offer all members their 10% discount, and we also have regular specials, especially off peak, which is book 4 nights and only pay for 3 nights. Family Parks members will still receive their membership discount as well as the 4th night free. We do not give club discounts as such, however we do 'value add'. We offer the exclusive use of a Shelter for the duration of the booking (valued at $40 per day) and also the free use of a Fire Drum and depending on the size of the booking we also include free firewood. We are a family run, non-affiliated caravan park, located high on the rim of a volcanic crater overlooking the two lovely lakes of Bullen Merri and Gnotuk. We are uniquely located in a botanical gardens and arboretum reserve. The reserve is heritage listed and the views are listed on the ‘Victorian state significance views’ register. All in all we have wonderful views of the surrounding lakes and craters region. We have an extensive website at www.lchp.com.au and we also have a downloadable app for smartphones. Our online ratings are very good and we are constantly improving the facilities and services we provide. cabins, 15 annual sites, 61 powered and 25 unpowered camping sites at very affordable prices. The park is also pet friendly. Please feel free to contact us at any time for more information and booking enquires.